The Interstate Lounge EXT is perfect for travelers in search of versatility and space with seating for up to nine. Tremendous flexibility, room to socialize, and sleeping accommodations will make you feel right at home. You'll find a large galley area, open floor space, and easy access to storage in the Lounge EXT. Compared to the Interstate Lounge, the EXT offers an additional 30 cubic feet of storage and also includes a rear power sofa that converts into a larger 6' 10” bed. All Lounge EXT series floor plans have an optional seat in the rear lounge area in place of the overhead wardrobe. Designed on longer-term adventures for two, the Grand Tour is built on the EXT platform and boasts a larger galley with additional counter and multi-functional storage space, a flexible workspace desk, an over-sized fridge, freezer, and optional dual screen doors. Exterior Height with A/C 9' 8"
See elegant interior and exterior options at the Airstream Store at Lazydays. With a variety of different floor plans available, there's no doubt you'll find a touring coach that fits seamlessly into your lifestyle. Want more information? 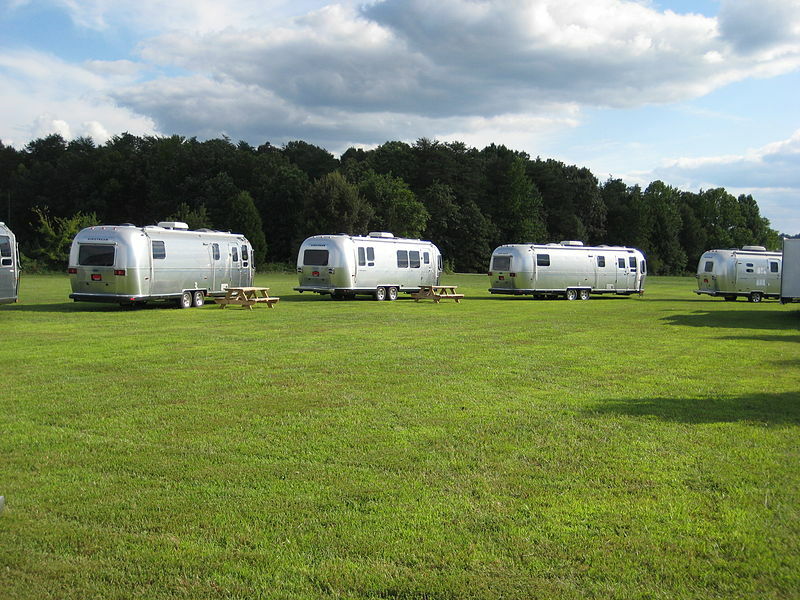 Take a look at Airstream's guide to the complete Interstate line.